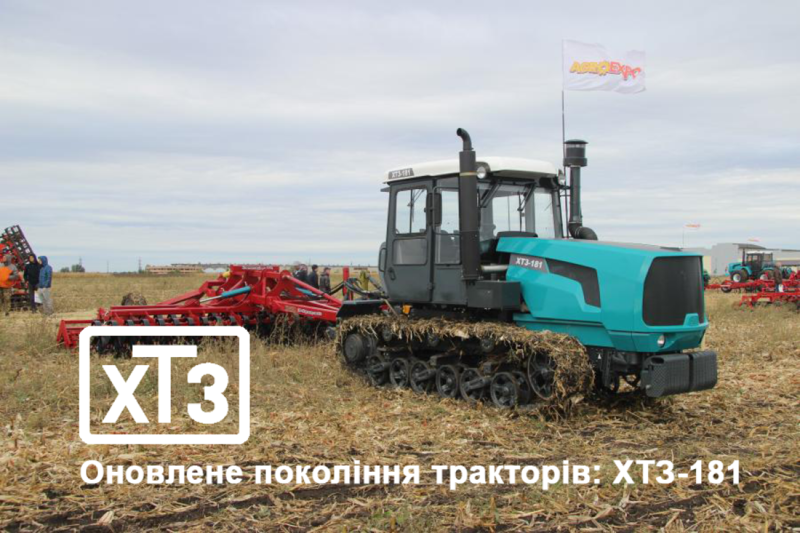 Kharkiv Tractor Plant, owned by businessman Aleksandr Yaroslavskyy, posted a video on its YouTube channel which is dedicated to one of the latest products released at the enterprise - the XTZ-181.20 caterpillar tractor. The video demonstrated the work of the machine in conjunction with modern agricultural equipment, and the main message of the film was that the use of a tracked assembly significantly reduces the specific pressure, there is no skidding, which allows to keep the soil unharmed. The authors draw attention to the high traction performance of the tractor, as well as demonstrate data on profitability during operations: when using a DL-6 Sloboda disc plow, the fuel consumption is only 3.5-4 liters per hectare, and with a Kronos 3+ disk harrow - 9 liters, while the productivity of the machine-tractor unit is 7.5 hectares per hour using the first attachment and 4.0 hectares per hour using the second one. Due to the increased performance of the hydraulic, as well as the updated mounted systems, the XTZ-181.20 can work with any agricultural implements, while performing key operations such as: tillage, seeding and transportation. And one of the main advantages to its competitors is the low cost of maintenance of the tractor. As previously reported, one of the new products presented by XTZ is the XTZ-248K.20 serial wheel tractor, equipped with the engine of the well-known global manufacturer FPT-Iveco N67.